Looking to do something a little bit quirky and fun, this piece recently created by BlackOut Design was meant to be different. 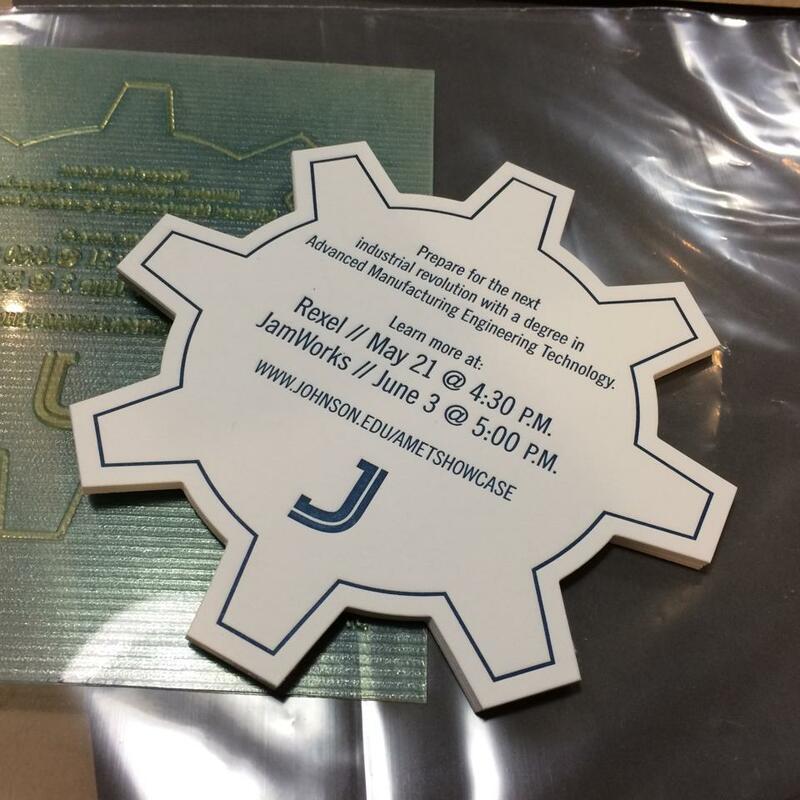 In order to promote the client’s newest program, Advanced Manufacturing Technology, this piece was designed as a die cut gear. 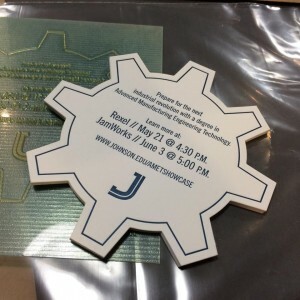 Working with Revival Letterpress on Adams Avenue in Scranton, we hope this unique shape represents the new revolution in manufacturing design and leaves a mark in the minds of prospective students!